Observation - Pill millipede ? - UK and Ireland. Description: Small spherical grey segmented creature. found within a rotting trunk. 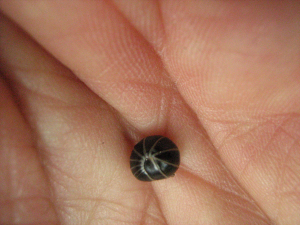 Small spherical grey segmented creature. found within a rotting trunk.